Kudos to Express Scripts for continuing to publish these insightful data. Too bad that its PBM peers have stopped releasing comparable data or devolved into publishing only the briefest of marketing pamphlets. For 2016, drug trend—the year-over-year change in spending—was a mere 3.8% for Express Scripts’ commercial plan sponsor customers. The Express Scripts data also highlight how drug prices were only part of the reason behind moderating drug spend. Contrary to the public rhetoric, increased utilization was a bigger influence than higher prices for both specialty and traditional drugs. Tough benefit management enabled one-third of plan sponsors to lower spending from 2015 to 2016. Will Medicare and Medicaid really be willing to limit access to medicines and pharmacies? I wonder how many Americans would say “Be Mine” to aggressive utilization management tactics. Unit costs—the payer’s cost per unit of therapy. Unit costs vary with: 1) the rate of inflation in brand-name drug prices, 2) shifts to different drug options within a therapeutic class, 3) a shift in mix of therapeutic classes utilized by beneficiaries, and 4) the substitution of generic drugs for brand-name drugs. 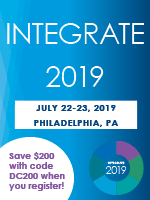 Note that for the second year in a row, the Express Scripts unit cost data account for the value rebates shared with payers. Utilization—the total quantity of drugs obtained by a payer’s beneficiaries. Utilization varies with: 1) the number of people on drug therapy, 2) the degree to which people adhere to their drug therapy, and 3) the average number of days of treatment. 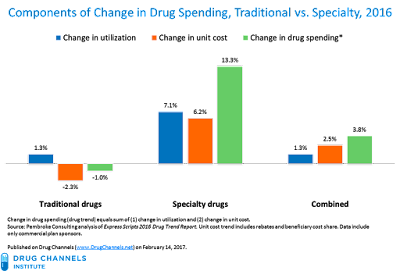 The total change in drug spending equals the sum of changes in unit cost and changes in utilization. Understanding the mix of price and quantity is crucial to understanding what drives drug spending. See Chapter 4 of our new 2017 Economic Report on U.S. Pharmacies and Pharmacy Benefit Managers for an extended analysis of drug spending data. The chart below summarizes the high-level results for 2016. The sum of 1.3% (utilization) and 2.5% (unit cost) corresponds to the 3.8% change in drug spending figure shown. As you can see, utilization was a significant driver of spending. A major component of spending growth can be attributed to the growth in the number of people being treated and the number of prescriptions being dispensed. For 2016, utilization was a major factor behind drug pricing. The 7.1% utilization increase for specialty drugs was the major factor behind the 13.3% spending increase. In theory, growing utilization is a positive trend, because it is well established that pharmaceutical spending reduces medical spending. But it also highlights how dysfunctional the debate over drug spending has become. Consider the highly-effective therapies for hepatitis C. For 2016, spending on hepatitis C drugs plummeted by a startling 34.0%. That drop was comprised of a 27.3% decline in utilization and a mere 6.7% drop in costs. Commercial plan sponsors were apparently willing to make people forgo a valuable cure. Consequently, hepatitis C products dropped from 4.2% of total spending in 2015 to 2.3% of spending in 2016. My translation: The sickest patients have been treated, so now we’ll just sit back and wait rather than cure everyone. Express Scripts projects that spending on hepatitis C will continue to decline: -21.8% in 2017, -30.0% in 2018, and -34.7% in 2019. We’ll see. Keep in mind that in March 2016, Express Scripts projected that hepatitis C spending would increase by 10.2%. Whoops! Only off by 44 percentage points compared with the actual -340% decline! On page 4 of the report’s Executive Summary, Express Scripts highlighted an uncomfortable fact about managing healthcare costs. As its chart shows, drug spending growth was much lower when plans were “tightly managed.” Express Scripts states that one-third of the most aggressive plan sponsors actually experienced a drug spending decline from 2015 to 2016. Adopting the PBM’s SafeGuardRx programs, which increase formulary competition within certain therapeutic categories. Express Scripts did not respond to my request to deconstruct these tightly and lightly managed trend figures into changes in costs vs. changes in utilization. 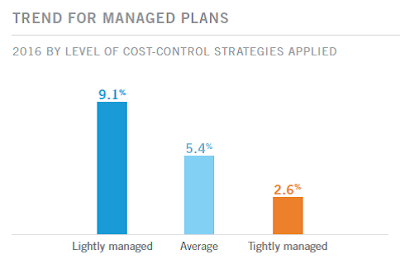 But given the items listed above, I suspect that utilization was the more important driver behind spending management in the tightly managed plans. A hot topic is the possibility that Medicare could replace PBMs and begin direct negotiations with manufacturers. But any savings will need to come from much more aggressive restrictions than those used by Part D plans now. Would Medicare be willing to block formulary access to all but one therapy in a class? Overturn the Any Willing Provider rules and mandate the use of limited and exclusive pharmacy networks? 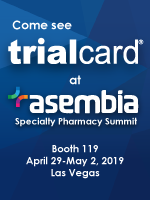 Establish highly aggressive prior authorization requirements? There’s another downside to focusing narrowly on drug prices. In its report, Express Scripts avoided any discussion of potentially higher medical costs associated with these controls. Unlike some of its peers, Express Scripts focuses solely on managing drug trend, not on managing overall healthcare trend. I guess when you have a hammer, everything looks like a nail. Let's hope it's not a nail through your heart.